Surprise yourself or your friends with 4 boxes of these hand made vegan easter eggs. 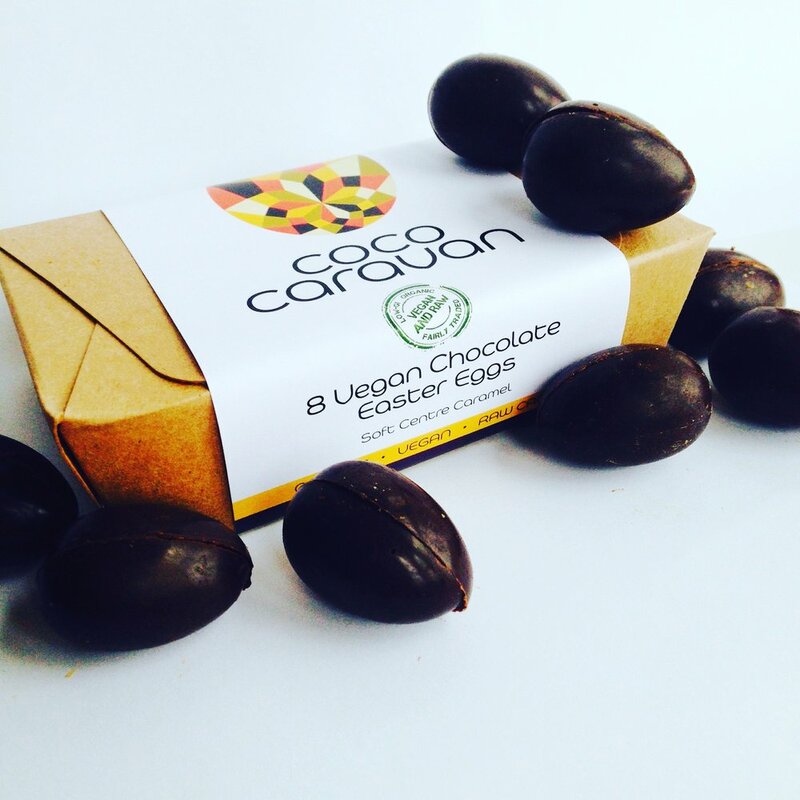 Made with Coco Caravan 's smooth dark chocolate and filled with our signature vegan caramel. In each box you will find 8 caramel filled easter eggs. Sold in a quantity of 4 boxes. Refined Sugar Free, Raw, Vegan.